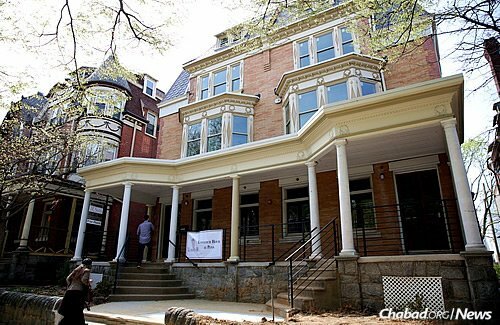 Modern manifestations of idolatry seems a rather lofty topic for a Sunday-morning conversation, but that’s exactly what dozens of people gathered at Lubavitch House at the University of Pennsylvania in Philadelpia were deliberating not too long ago. Judaism’s ancient prohibition on idol worship was just one of the subjects touched upon last month at the seventh annual Sinai Scholars Society Academic Symposium, a prestigious event that brings together Jewish college students with noted Jewish academics for a day of in-depth discussion and debate. Presenting student research papers chosen by a respected panel, participants displayed their scholarship on a host of Jewish topics—from the Jewish viewpoint on happiness and fulfillment to the implications of demographic shifts in the population of Israel. 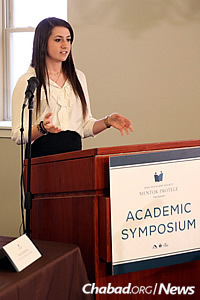 The Sinai Scholars Symposium serves as the culmination of the “Mentor-Protégé Program,” which pairs budding young scholars with experts in their field of interest. 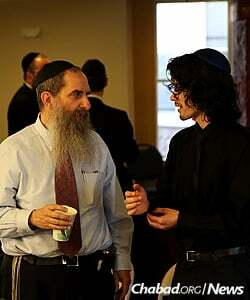 The mentors guide the students in their exploration of Jewish topics, sharing their own erudition and advice. For college senior Sam Venis, a philosophy major at Queen’s University in Kingston, Ontario, the chance to study a Jewish subject in a substantive and serious way proved a welcome opportunity. 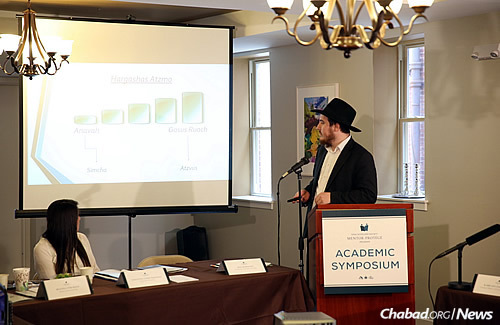 Work done on his winning paper, titled “The Psyche of the Idolater and Modern Man,” illustrated the differences and similarities between the study of philosophy and Torah. This year’s finalists were Samantha Lynne Friedman, Texas A&M University in College Station, Texas; Ariel Rubinstein, University of Nevada, Las Vegas; Brianna Bailey, Arizona State University; and Dylan Thomas, University of California, Berkeley. 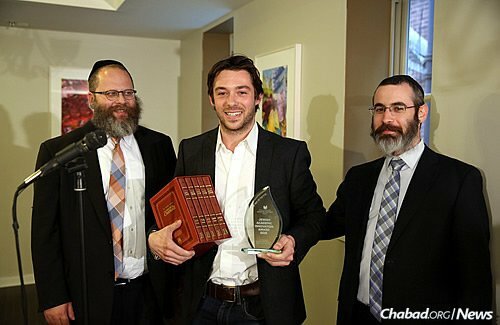 Venis, the winner, was presented with the Sinai Scholars Jewish Academic Innovation Award. 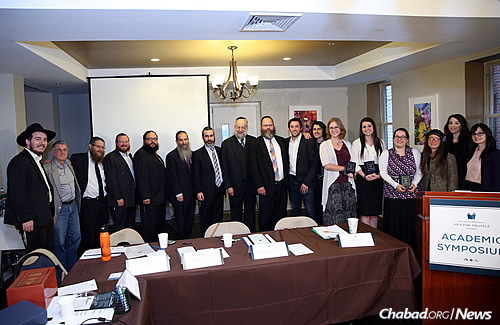 Sinai Scholars Society is a joint project of Chabad on Campus International and the Rohr Jewish Learning Institute (JLI), with more than 100 chapters throughout North America. 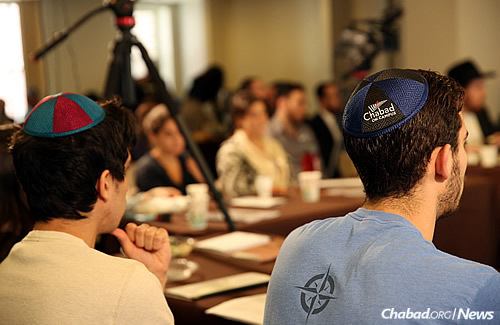 The society invites students to partake in serious Jewish study, meeting eight times over the course of a semester and following a curriculum that applies each of the Ten Commandments to daily life. To date, more than 15,000 students have taken part in the program. “Sinai Scholars gives students the chance to engage with the text in an analytical way, something which they might not have had previously,” explains Rabbi Levi Haskelevich, the on-site campus rabbi at the Lubavitch House at Penn. 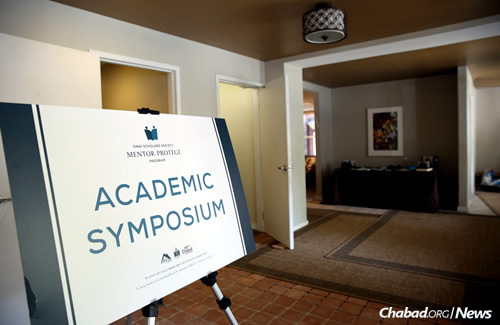 The yearly symposium, which in the past has taken place at New York University, Princeton University, Johns Hopkins University and Dartmouth College, allows students the chance to expand their Jewish studies and then share what they learned with influential Jewish academics. 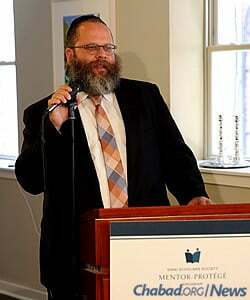 In addition to Schiffman, the panel this year included Dr. Jan Feldman, a professor of political science at the University of Vermont; Dr. Michael Carasik, professor of biblical Hebrew at the University of Pennsylvania; Rabbi Shlomo Yaffe, dean of the Institute of American Talmudic Law in New York; and Dr. Simcha Leibovich, North American representative of the World Zionist Organization. 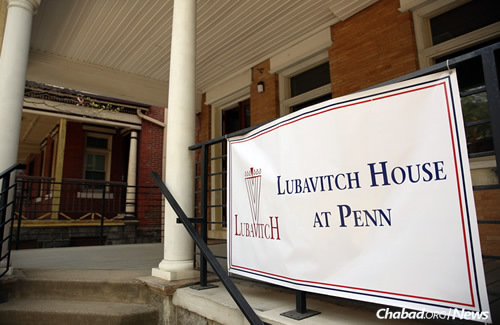 This was the second time that the event was held at Lubavitch House, Chabad’s base at Penn. 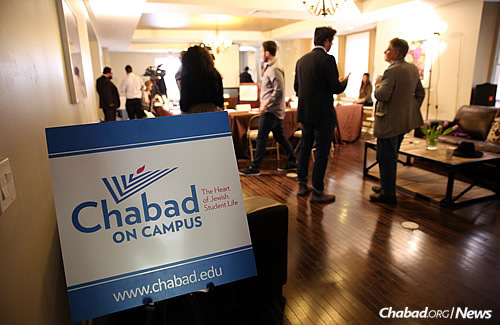 The center, which is directed by the president of Chabad on Campus International, Rabbi Menachem Schmidt, has just undergone a multimillion-dollar expansion and renovation; the symposium was one of the first events held in the new space. The daylong event drew academics, rabbis and students from the campus, offering stimulating intellectual debate, and unique modern applications of ancient and eternal ideas along with their bagels and lox. Opening with remarks by Haskelevich, participants heard from both the students and the panelists, with lively debate and conversation peppering the afternoon’s proceedings. In attendance were Rabbi Ephraim Mintz, executive director of JLI; Rabbi Ephraim Levin of Lubavitch at Penn; Rabbi Moshe Chaim Dubrowski of Chabad on Campus International; and Rabbi Zalman Abraham of JLI. 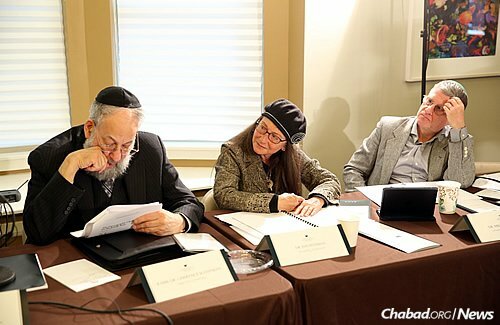 It was organized by Rabinowitz and Devora Leah Notik of Sinai Scholars, in addition to Haskelevich and Rabbi Shmuel Weiss of McGill University in Montreal. Ultimately, for Venis, from Queen’s University, the study of classical Jewish thought pointed him towards the underlying core difference between Athens and Jerusalem.